H.S.H. Prince Albert II of Monaco (centre) with film directors Danielle Ryan (left) & James Sherwood (right) © Michel Dagnino/Musée Océanographique. We had the immense honour of sitting beside H.S.H. 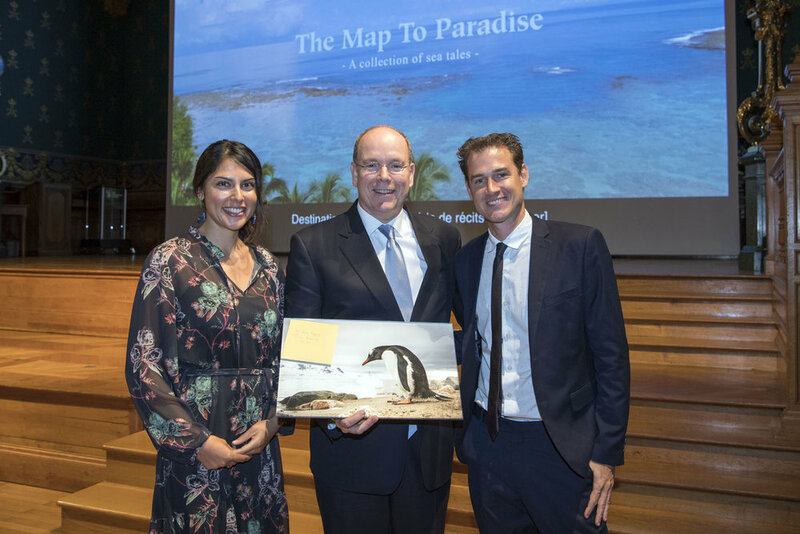 Prince Albert II of Monaco and sharing a very special life moment with him: watching The Map to Paradise (film) for the first time on a giant screen! After an eventful few years of making the film - a time full of frustration, tears, feeling sometimes a sense of loneliness and, at other times, excitement, as we navigated the highs and lows of making our first feature film - we realised that we had finally arrived at a point in our journey where we had found ourselves in a room full of passionate like-minded people, who believed in what we were trying to do. 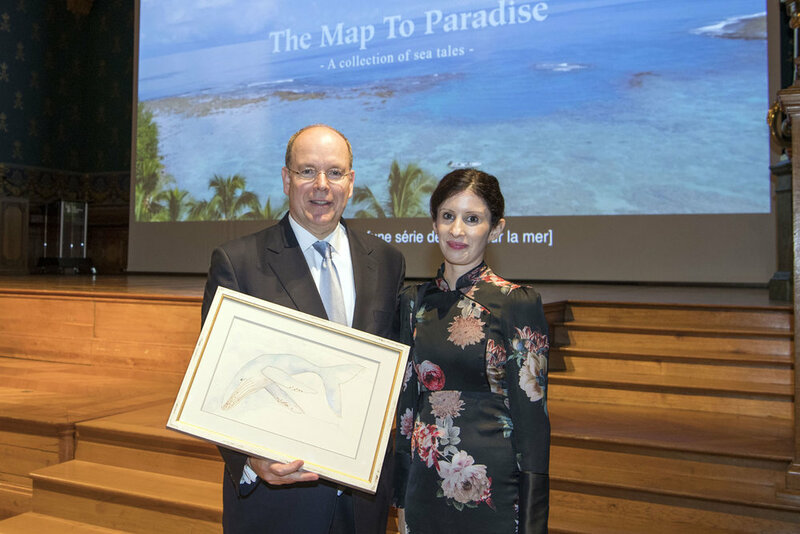 When we first began this project a few years ago, we never could have imagined that on the 8th June 2018, His Serene Highness might host a private avant screening of The Map to Paradise at the Musée Océanographique, organised by the museum and the Prince Albert II of Monaco Foundation. To think that H.S.H. might spare some of his precious time in being a part of this independent project about protecting our oceans is really encouraging as it shows there are global leaders out there, who really want to make the world a better place. Co-Director James Sherwood being interviewed by Monaco Channel © Michel Dagnino/Musée Océanographique. Usually, we try to take a step back from our documentary works when it comes to screenings, because we want to make sure that the people featured in our films have an opportunity to share their expertise and wisdom with the world. However, this time we were thrust into the limelight as we were invited to address the audience and the local media where we used the opportunity to talk about our motivations for making the documentary and to share some behind-the-scenes insight into the themes and topics explored. See a review by Hello Monaco and Monaco Channel to learn more. PHOTO GALLERY: featuring photographs from Antartica, One Ocean Expedition sponsored our passage on their research vessel to film in 2017; we filmed Plongeurs du Monde, a French dive group which helped to train the younger generation of Apo Island, Philippines - the goal was to help shift local culture away from a dependence on fishing and, we filmed the Founder of the Pelagos Sanctuary Guiseppe Nortarbartolo Di Sciara with H.S.H. 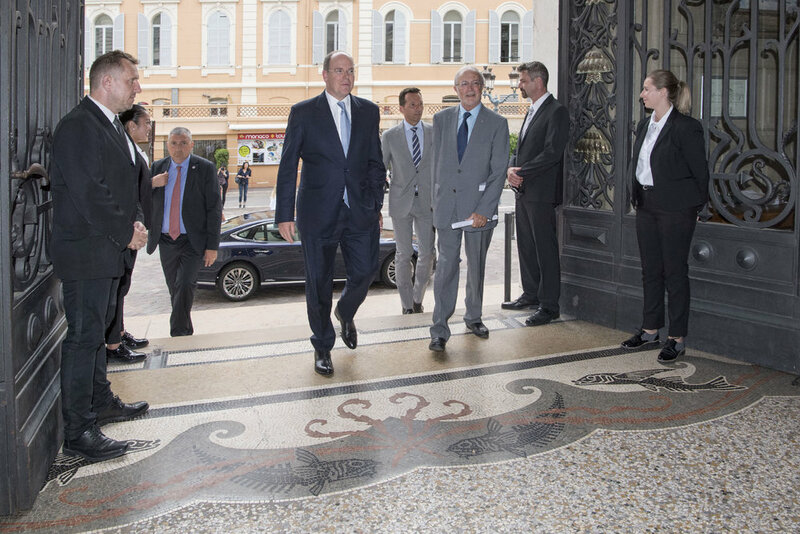 Prince Albert II of Monaco out on the Pelagos Sanctuary (above photo). It was an international gathering with cast member Italian marine biologist Guiseppe Nortarbartolo Di Sciara travelling from his home country to attend the screening. 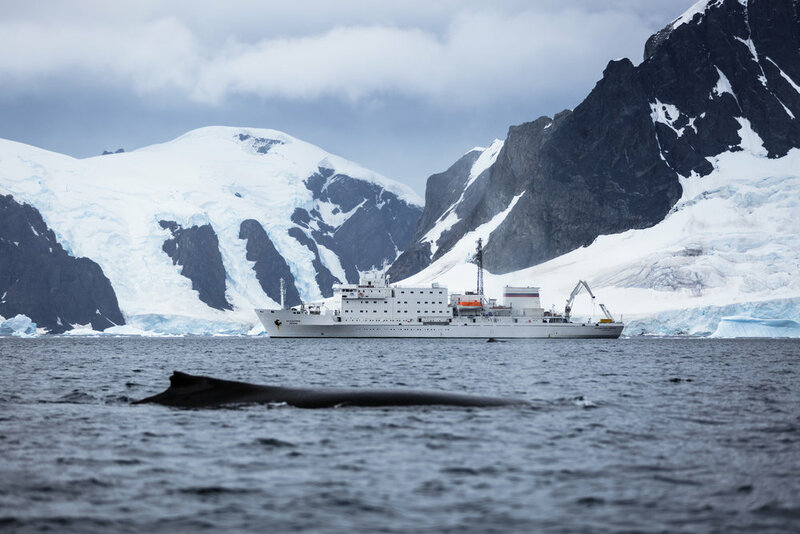 He was joined by a few other international stakeholders from the film, including representatives from One Ocean Expeditions (Canada) and Plongeurs du Monde (France). 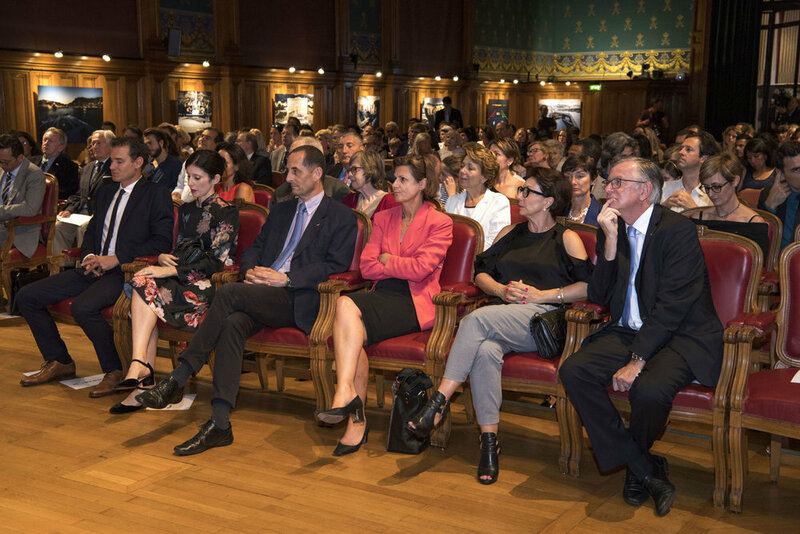 For Giuseppe, it was a special occasion, because it was in the very halls of the screening room where he first approached His Serene Highness's father, Prince Rainier III of Monaco, to protect the Pelagos Sea back in the 90s. It was also an honour to have Australian illustrator, Mia Grimaldi - one of the key artists who donated their time to work on the film - attend the event. See her mermaid artwork and illustrator/animation Anna Outridge's production still of an island surrounded by marine life below. Hand painted artwork by Mia Grimaldi for The Map to Paradise (film). Hand painted artwork by illustrator/animator Anna Outridge for The Map to Paradise (film). After the buzz of the private preview, it is back to desk work for us! We are currently finalising the sound mix of the film and are preparing for the public release of the film - the date will be announced soon. Thank you to all of the individuals and groups, who have either worked on this project, supported us, mentored us, donated their time and money, or have given us a bit of encouragement to keep going. As we prepare for The Map to Paradise's public release, your support will be welcome more than ever, as we work to design and deliver an impact campaign around this film to try restore our underworld by protecting new areas of ocean and strengthening the way we care for existing areas of ocean that are protected.